The House and Senate Appropriations Committees are struggling valiantly to report a balanced General Fund budget for Fiscal Year 2016. The presently estimated shortfall is about $130 million, eight percent of the proposed General Fund budget. This is a result of the chronic tendency of legislatures to find ever more things to spend money on, and state revenues currently coming in well under the projections of funds available. Raise taxes? It was eight years ago that the present governor declared, repeatedly, that “Vermont has no remaining tax capacity”. This year Gov. Shumlin’s proposal for a 0.7% payroll tax is getting a “less than lukewarm” reception in House Ways and Means. Even some of the legislature’s most liberal members are gun shy about levying any significant tax increases. With no ability to print money to cover looming deficits, no realistic prospect of “stimulus” payments from Washington, and little or no prospect for increasing the tax burden, it is now crunch time in Montpelier. The appropriators are always tempted to raid funds and revenue flows to get to the goal of a balanced budget. The most tempting targets are the annual contributions to the state employees’ and teachers’ retirement funds. But these two funds are now $3.2 billion out of actuarial balance – the result of years of legislative underfunding. Raiding another tempting target – the $300 million earmarked for transfer to the Education Fund – clearly means higher school property taxes. But the legislature and governor have raised the two school property tax rates four years in a row, and taxpayers are howling about it. So the appropriations committees are now in “shave here, squeeze there, postpone here” mode. That calls forth urgent lobbying pressure from every interest dependent on taxpayer funding, chanting: “not us, not now”. Among the loudest is the state employee’s union, which has already told Gov. Shumlin that it won’t accept any reductions in pay or benefits. The likely result of all this is a shakily “balanced” budget, where the statutes still require state agencies and their galaxy of nonprofit satellites to run the same programs and enforce the same laws, but with less money. There is always some prospect of doing that by “streamlining” agency operations, but those “low hanging fruit” opportunities have shrunk. One can’t help but sympathize with state employees who are told they must do as much but with less. What should – but never does – happen is for the governor and legislature to address the underlying question: “which functions and services of state government must be maintained and effectively performed?” Some easy answers are: payment of interest on the state’s debt, maintaining a legislature and an independent judiciary, holding biennial elections, preventing the spread of infectious diseases, and bringing lawbreakers to justice. This question implies that some limits must be put on what state government sees itself as responsible for achieving. Gov. Shumlin has installed a “Results Based Accountability System” under a very capable Chief Performance Officer. But it is not that officer’s job to decide what the sprawling agencies of government are supposed to do. She will press them to adopt strategic plans and choose measurable indicators (“metrics”) for needed outcomes. That’s to the good. But a perusal of the Act that created her position (Act 186 of 2014) shows the limitless breadth of desired outcomes. The state must see to it that “Vermonters are healthy. Vermont’s environment is clean and sustainable. Vermont’s families are safe, nurturing, stable, and supported. Children succeed in school. Youths choose healthy behaviors,” and on and on. Every imaginable interest seems to have pushed its concerns into this law’s long list of outcomes and metrics. Can the Chief Performance Officer produce these results? Of course not. She can only press the agencies to organize and work effectively to get the required results. Unlimited outcomes require unlimited resources. Legislators should use this budget crisis to initiate a full scale Performance Review, conducted by public spirited appointees independent of the interests at stake. It would propose that the legislature adopt a short list of essential core functions, and jettison the present long list of open-ended and unattainable outcomes. We simply can’t raise enough tax dollars to assure that all “youths choose healthy behaviors”. That kind of review, courageously performed over three to five years, is the only hope for reducing state government to a level that Vermonters can actually pay for without crippling their economy, endangering the state’s bond rating, driving out the most productive people, and absorbing Vermont’s once-free citizens into the embrace of an increasingly less solvent do-everything State. 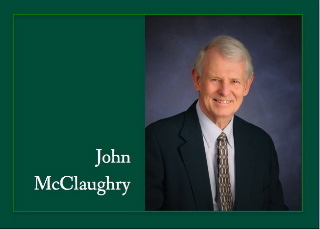 – John McClaughry, a former member of the House and Senate, is vice president of the Ethan Allen Institute (www.ethanallen.org). Hi John, or as you were better known, “hi Black John”. Boy, you are getting better looking all the time. Bet you can hardly wait for tomorrow. I have been planning on dropping you a note. You wrote a very nice article about Freddy, and I recognized your fingerprint on the “well publicized MIT professor”. Super job.!. Hope you receive this. Would love to keep in touch. Hi again. Certainly hope my comments pass “Moderation”…. Next post: SURVEY: Should Vermont Adopt Statewide School Choice to Lower Property Taxes and Improve Student Outcomes?